Last year, we have named 16 blogs to compose our list for the Best Blogs of 2016 out of hundreds who have participated. This year let us make this more meaningful and collaborative. Please read the full guidelines below. This prestigious awards aims to recognize Filipino bloggers around the world who had contributed ideas online on their respective fields. The Philippine Bloggers Awards 2017 registration and nomination will start Mid of September until the end of October 2017. 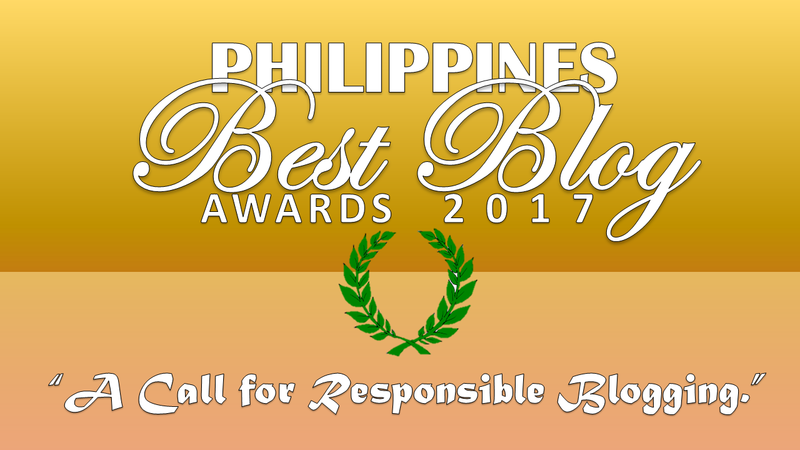 Only one blogger per category will be chosen as the Best Philippine Blogger of 2017 and three will be chosen as the runner ups. This year’s theme is A Call for Responsible Blogging which will focus on providing and sharing facts to all the netizens around the world. In line with the theme, we will coordinate with the few of the High School in the country and introduce them the benefits and the biggest responsibility of a blogger with the development and advancement of technology in communication. We will be using several criteria and metrics to rank the most popular and quality blogs. Each candidate should register their own blog before 11:59PM PHST of October 20, 2017. After the closing of the registration, the judges will carefully look into each entry based on the criteria set for each niche. At 12:00AM PHST of November 1st, all entries will be made available for public, this will be the start of voting period until the 31st of November. Once all data has been gathered, the board will finalize the result and rank the bloggers according to the score attained. The result will then be posted by the second week of December 2016. 1. Must be at least 18 years old and a Filipino. 2. Must have an active blog with unique contents. 3. Blog must be in English or Tagalog. As a blogger, what do you think are the qualities and attributes of a responsible blogger? What are the factors that can contribute in engaging into blogging fake and unverified information? How can you promote responsible information sharing with the emerging and advancing technological developments? To make this competition fair and accessible to all, the awarding will be held online on this blog. The button below will activate if winners have been already chosen. A site badge with a specialized redirection page to let site readers know that you are the best will be given to those who deserve it. This program is neither associated nor affiliated with any other Awarding Institutions unless and otherwise stated. All information transmitted to and from this page, especially personal information, will be handled accordingly with care. This information will not be disclosed to the public but Crozland Inc., the home network of Lagawan.org, might use this information for reference and marketing. By joining this event, you also agree that you have read and understand this notice and the Terms of Services of Lagawan.org and Crozland Inc. and abide it accordingly. The management has the right to reject or to exclude any participants for violating our TOS. For requests and other feedback, please send us an email at [email protected] or [email protected] .